Welcome to Day #7 of Chocolate and Mexico Theme Week, where we're finishing off the week with not one, but two different chocolates. Peppers and spices have been combined with early cacao beverages in Mexico for centuries. 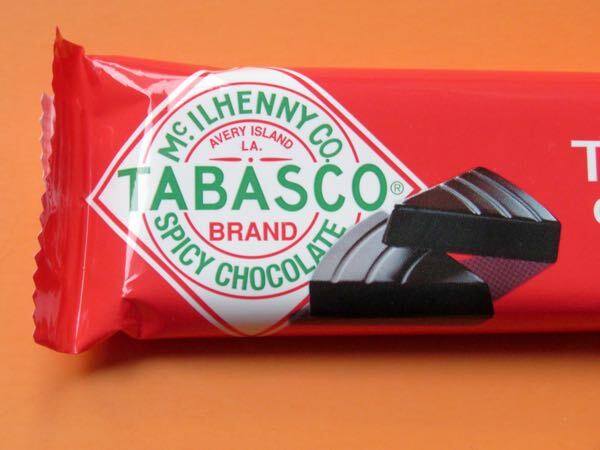 So, it seemed natural that chocolate might eventually be infused with peppers in Tabasco sauce form. 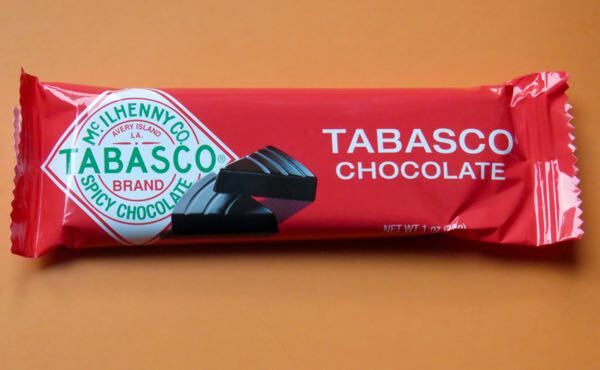 Tabasco chocolates (sold in wedges and bar form) are distributed by The Chocolate Traveler, Inc. (North Hollywood, CA). Today was not only the last day of Chocolate and Mexico Theme Week, but also the first day of Chocolate and Almond Week. The world is bursting with so many chocolates, it's hard to fit them all into one week. The second chocolate of the day was a Vanuato Kakaw Almond Milk Chocolate bar made in Mexico City. The 36% cacao milk chocolate was creamy, sweet and had a slight, pleasant nutty flavor and crunchy texture from bits of almonds. 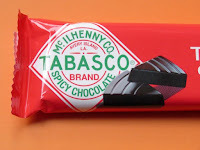 *Tabasco sauce is derived from a pepper mash that is fermented with vinegar in barrels until until the desired characteristics have been achieved.